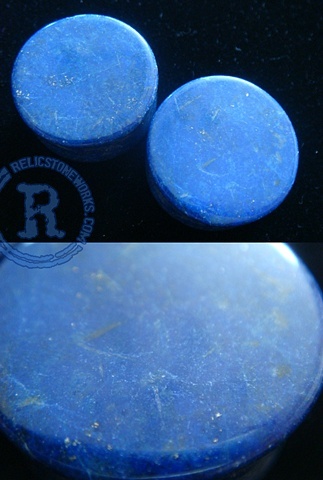 This set exhibits the true deep, rich blue color you look for in good Lapis. It's hard to believe that a stone can naturally be SO blue. But this pair has beautiful flecks of golden Pyrite that just accent that color even more.